Writer, translator, editor and poet Agnes N.S. Nyendwa has always been best friends with books — right from her days as a warehouse clerk where she read up all the books in stock to her rise to an editor with publishing houses. 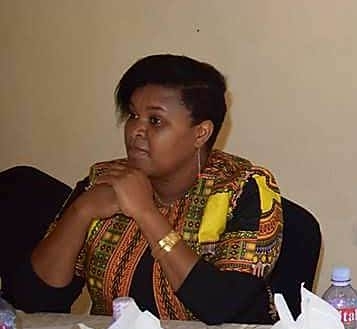 Along the way, she was always passionate about her mother tongue Chinyanja, a language belonging to the Bantu language system of Africa and spoken widely across Malawi, Zambia and the Mozambique. 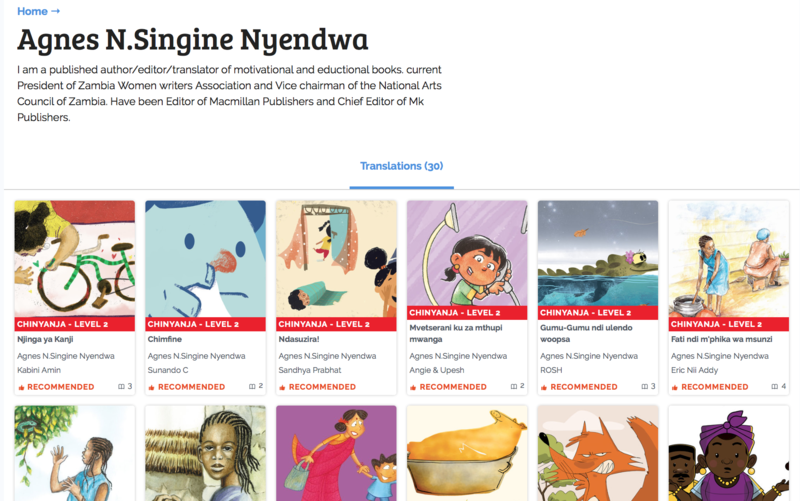 Agnes is translating books on the StoryWeaver platform to her mother tongue and tells us in an email interview on why children need to read more stories in Chinyanja in her country and how she plans to make sure that more of them have access to these books. I am a writer, translator, editor, poet (English and Chinyanja), president of the Zambia Women Writers Association and Vice chairman of the National Arts Council, and have been in publishing circles since 1994. I started off as a Warehousing clerk being the first employee to have been engaged in that position at Macmillan Publishers Zambia Limited. I studied Purchasing and Supply (CIPS) and emerged as best student in the field. In my job as a warehouse clerk, I became friends with a bunch of books which I took time to read and enjoy. I cultivated the culture of reading each and every book that was in the warehouse. I later knew each book by its content and what to present if anyone wanted to buy any book in any field. I made it a point after that to read any new title as it came. Due to the immense interest that I had in books, I was promoted to be Assistant Editor when the Zambia curriculum transitioned into a new one. My first assignment was to handle local languages because the whole project was a challenge. I managed to have the project take off and in the process I was seconded for an in-house training at Oxford Macmillan Education in the UK, which later catapulted me to be an Editor of the organisation back home. What is your personal relationship to Chinyanja and to translation? Apart from learning the language at school, Chinyanja/Chichewa is actually my mother’s language. As it is truly my mother’s tongue – my parents (my mother being a teacher by profession) made sure we honed the skill of speaking and writing it. They would not allow us to mix any other language when speaking with them, let alone writing to them. We were encouraged to read Chinyanja/Chichewa books, which I certainly do even now. This made us know the language without measure. Our home was our training ground for the local language where neighbours would be amazed at how we spoke it even when we grew up in a low density area where only people with high education lived. Friends would laugh at our tongue because sometimes they would request us to interpret the words we spoke. Later in life I still had a challenge convincing my husband that the words I spoke were actual Chinyanja/Chichewa. He thought that as a family we had developed a language that we alone would understand not until I bought a dictionary from a bookstore in Malawi. He took time to refer to it on every word that he thought was specific to my family. He was amazed to have found the very words in the dictionary. That is the power of teaching a child her mother tongue. It is easy for me to understand other languages because I can relate them to my own. I now thank my parents for imparting that priceless skill to me. I look at myself as one of those who is open to learning and embraces criticisms when it comes to the local languages. I have written and translated a number of books that are currently being read in schools. You have been translating STEM stories. Describe the process to us. Would this process be different for a joyful picture book? The process is not easy when you are just starting as a translator of STEM books. The process is quite challenging because of the absence of indigenous terminologies for certain concepts and words in general. STEM books have a lot of these non-indigenous terms. But by using the meaning approach and transliteration, the challenge is quite eased. I actually enjoy translating them because I get to understand and impart the terms in a way that are simple to grasp. I don’t find picture books to be any different from other story books because each book presents its own challenges, some may be grammatical or orthographical but rising to the challenge is what makes translating any book unique and adventurous. How do you plan to take the Chinyanja stories to the children? In our society, doing a venture totally free can be quite challenging because the conveyor of the message needs finances to operate. I would love to have every child who is stationed in a Chinyanja belt to get hold of these wonderful stories. It is a fact that a bigger chunk of my country cannot access internet which can be a transmission port for these books. I need them printed in hard copies so that they are distributed for children to have and read wherever they are, with friends and family. My plan is to raise funds that can allow me to print and probably sell at a nominal price and for them to be spread where their relevance is. If I can find funds that can allow me to print and transport the books, I don’t think there will be any need to sell them but to distribute them to libraries and have them approved for use in schools. For those who are able to browse on the internet, sending the link to people I know and other official arts and educational platforms is helping to spread the books. I have actually started sending the link and people are reading them. What do you usually read? Which language do you prefer to read in? Yes I do read quite a lot. A good story is what prompts my language of preference. I do read in Chinyanja and English as well as other Zambian languages that I have quite a considerable amount of knowledge. A glimpse of the stories Agnes is translating to Chinyanja on StoryWeaver. You can read these stories here. Thank you Agnes! May your tribe increase! Write in to us at storyweaver@prathambooks.org if you want us to add your native language. 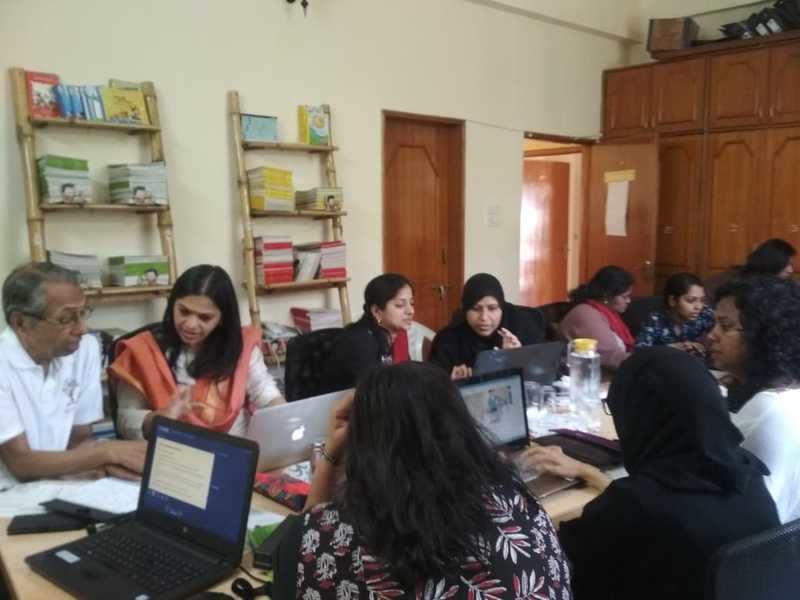 Khyati Datt, a member of our outreach team writes about our recent workshop in Nashik with senior teachers of the SNS Foundation. Our recent StoryWeaver workshop took us to the picturesque town of Nashik. Senior teachers from 6 different states gathered for the annual meet of the SNS Foundation, where they exchanged ideas, celebrated each other’s achievements and discussed the long term goals of the foundation. 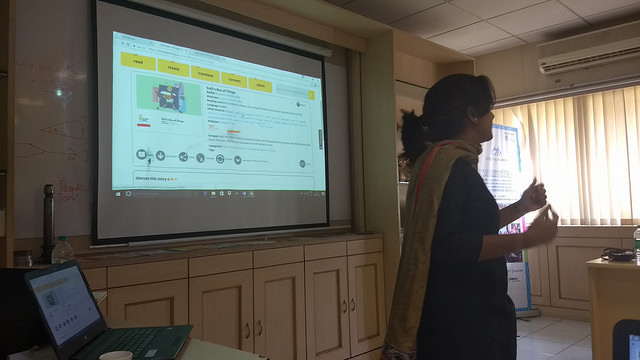 A day before the workshop, our team was introduced to the teachers in Mumbai and we were happy to learn that they were as excited to explore the StoryWeaver platform as we were to share it with them. The 3 hour drive to Nashik provided us the opportunity to interact with them in a relaxed space and understand their context better. After a hearty breakfast the next day, everyone assembled for the workshop. The teachers shared highlights from their last one year and lauded each other on their achievements. We started the workshop with an ice breaking activity and moved on to a storytelling session. They were more than willing to share their experiences and ideas around using books with children. The teachers responded enthusiastically to using StoryWeaver in their classrooms. After a brief exploration of the platform, they went on to the task at hand, which was to search for books on the platform on the given themes. All teachers tried their hand at looking for content that they could possibly use with their students too. The teachers then shared the stories they had found and how they might use them in their classrooms. A satisfying lunch later, we moved on to discussing how they could use the platform to translate and create stories. They tried their hand at creating stories in their mother tongue and were excited about sharing this with their students back home. We got some really great stories and the teachers loved sharing their thought behind the story and presenting it in front of all of us. What was really impressive about this workshop was that the participants created original stories in 5 different languages- Tamil, Hindi, Kannada, English and Marathi. The senior teachers gave us a great response and were happy to know that they could use wordless stories, flashcards, spotting books and a lot more resources from StoryWeaver in their classrooms. We discussed what students liked to read and how that could be used to motivate them academically as well. As we wrapped up the workshop, the participants shared their thoughts with us on how they plan on using the platform and combining stories with curriculum. 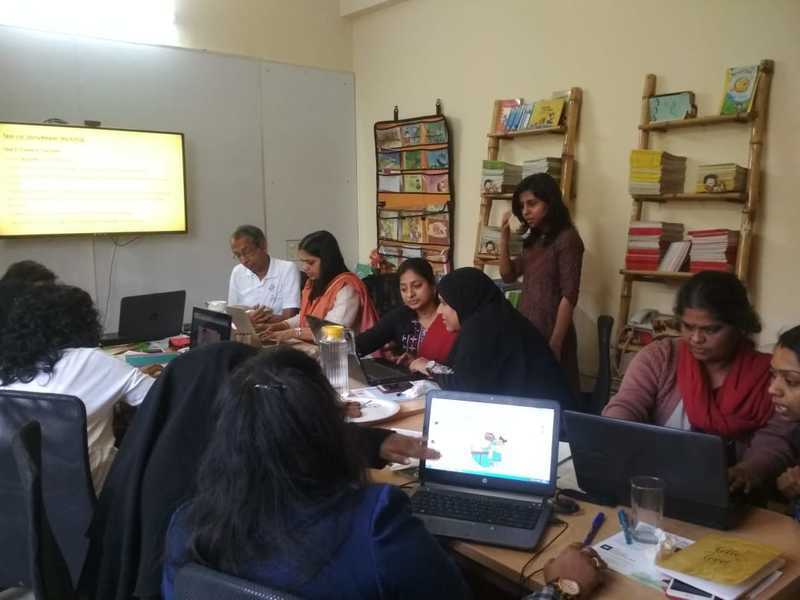 As Damayanti, who leads the CSR efforts of SNS Foundation, later told us, “there’s so much more we can do in our classrooms through StoryWeaver and we can’t wait to get started.” The participants were patient and interacted with us throughout the session, for which we’re thankful to them! A big thank you also to the SNS Foundation for giving us the opportunity to interact with the teachers and their consistent support.